Ask Americans what the Constitution’s most important feature is, and most will say it’s the guarantees of liberty enshrined in the Bill of Rights. In this episode, Peter Sagal explores the history of the Bill of Rights, and also takes on several stories ripped from the headlines, involving freedom of speech, freedom of religion, and right to privacy. Let’s take a closer look and see how freedom is defined for “We the People” as well as you the citizen. It’s a Free Country: Know Your Rights! 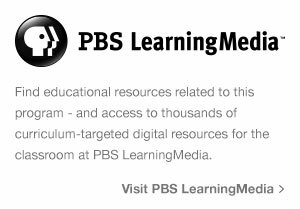 In this digital age, teachers often incorporate video into the classroom as these teachers have done through the PBS NewsHour Student Reporting Lab program. 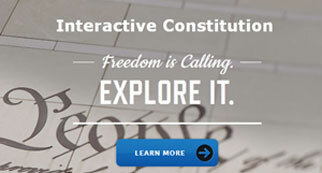 Click here for a project-based video journalism curriculum, media literacy resources and student videos about constitutional issues in their schools and communities. The National Endowment for the Humanities, a major funder of CONSTITUTION USA with Peter Sagal, offers additional resources on Rights, First & Second Amendment, Privacy and Property Rights, Crime and Punishment for teachers, students, and parents searching for high-quality material. Find even more on the EDSITEment website.